Peregrine Ranch produces high-quality wine for the developing wine “by the glass” market. The ease of having a premium wine “on tap” is quickly growing and Peregrine Ranch has a simple philosophy: produce a premium appellation wine in an easy to use, stainless steel dispensing system for “by the glass” enjoyment. Peregrine Ranch was launched by two friends, John Saini and Jeff Meyer, both with both extensive wine and business experience. 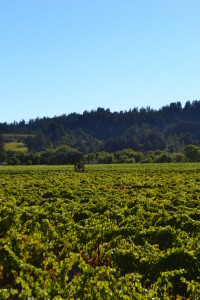 Peregrine Ranch is located in Healdsburg, California and both the Saini and Meyer families are involved in the business, farm grapes and share the common desire to produce quality wine. With their winemaker, Ashley Herzberg, Peregrine Ranch has developed wines that are well suited for wine “by the glass” enjoyment. Our wines are Sonoma County appellation specific. We use grapes from some of the best regions in California: Dry Creek Valley, Russian River Valley, and Alexander Valley. We specifically target our grapes to come from the appellation that is best suited for the particular wine we produce. Our wines are not blends from grapes sourced across the state. Instead, it is a process designed to produce the best wine we can from some of Sonoma California’s premier appellations.